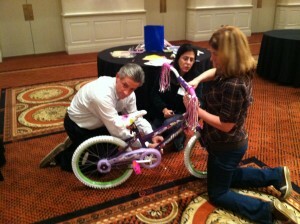 As a way to bring Aetna’s Hartford, Connecticut based employees together for a philanthropic event, they decided to host a Build-A-Bike team building workshop at their headquarters. Aetna is one of the nation’s leaders in health care, dental, pharmacy, group life, and disability insurance, and employee benefits. With more than 33,000 employees in multiple businesses, Aetna offers a broad range of insurance and employee benefits products. This workshop was with members of one of the divisions. Build-A-Bike is a fast-paced, high-energy workshop that gives participants the opportunity to interact, compete and ultimately work together to solve a series of challenges. Aetna employees rose to the occasion, working together and cheering each other on to success. In the end, they built 12 bikes! 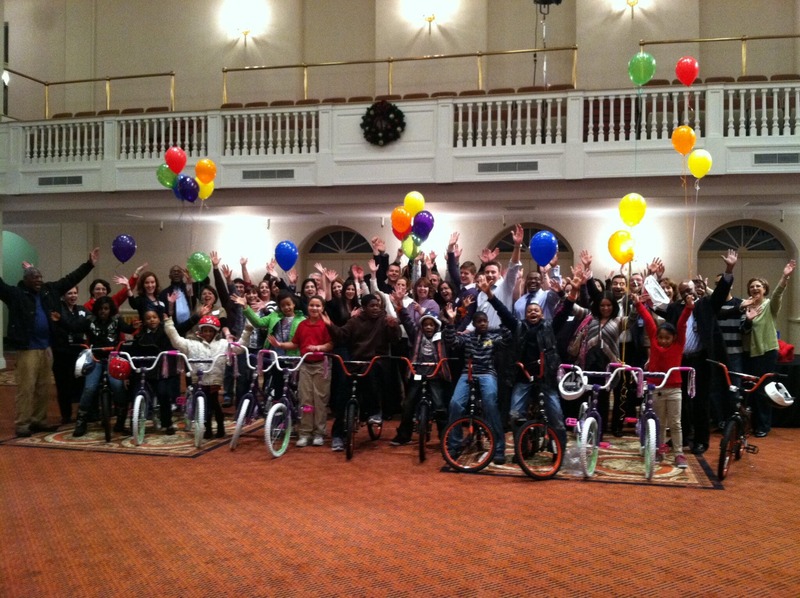 Local kids from the Wilson-Gray YMCA Youth and Family Center in Hartford came at the end of the event to receive the bikes. 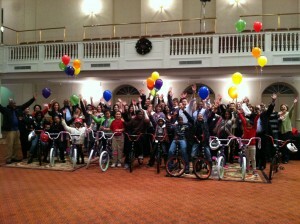 Just in time for the holidays, these kids were overjoyed and overwhelmed at receiving bikes. For a couple of them, it was their first bike ever. They quickly got into the spirit and were zooming around the room like pros! Everyone likes to give back to the community, especially to kids in need, and most especially during the holidays. 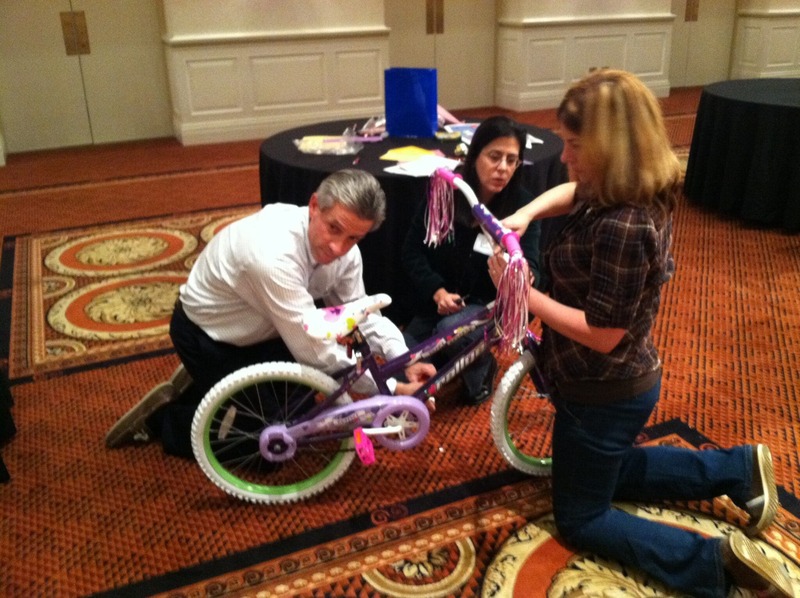 Including a Build-A-Bike Team Building Event in your next conference in Connecticut or New York gives your employees the opportunity to do just that while adding energy, enthusiasm and fun! For details about a team building event in Hartford, Connecticut, click here!